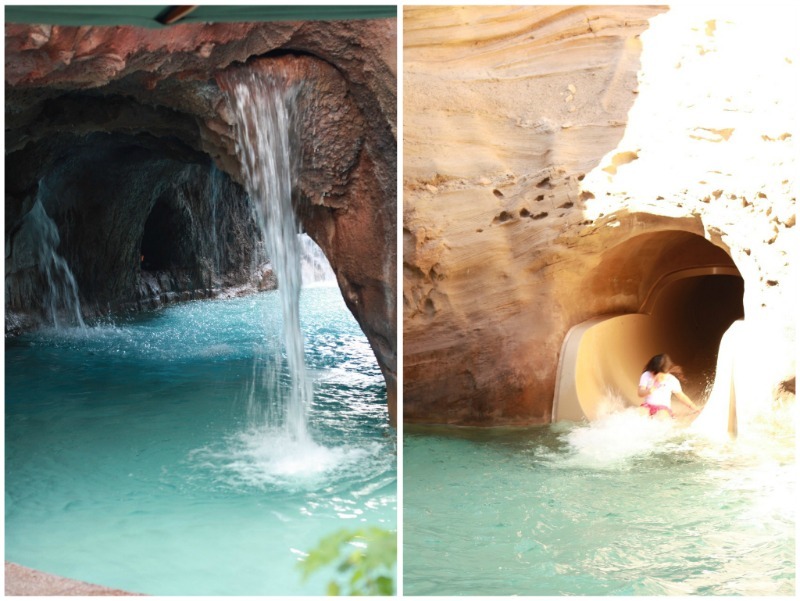 Hawaii Trip | The Aulani Experience, Part II. 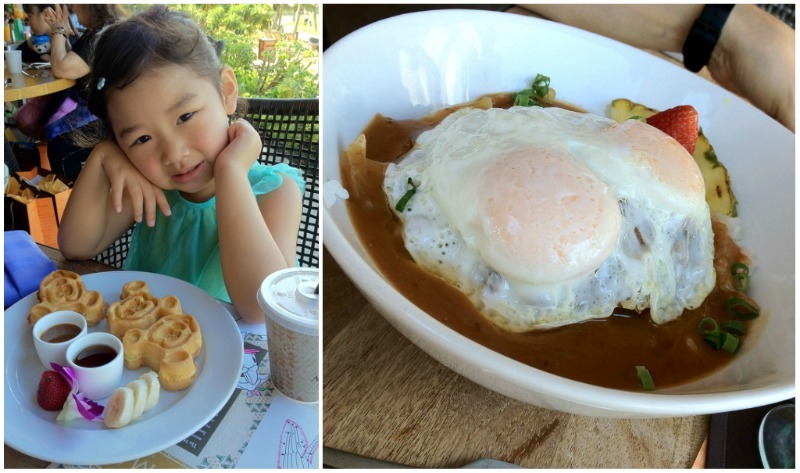 During the 3 nights that we spent at the Aulani, Bridgette pretty much got to experience all facets of their wonderful property. 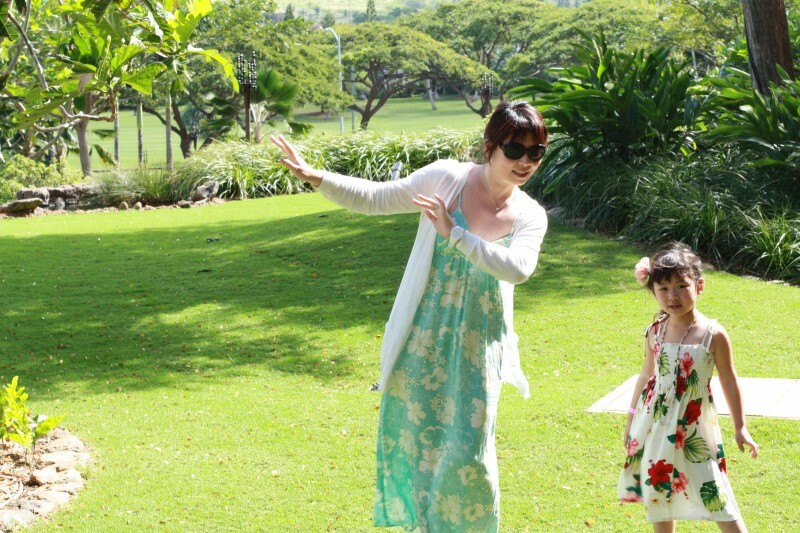 I even signed her up for a “Keiki Hula Expeience”! (Don’t judge!) She has always wanted to try the Bibbidi Bobbidi Boutique inside Disneyland, but we have resisted for various reasons. This time, we had a good excuse to give in. We figured it’d be fun for her to experience it in Hawaii, on the wedding day! 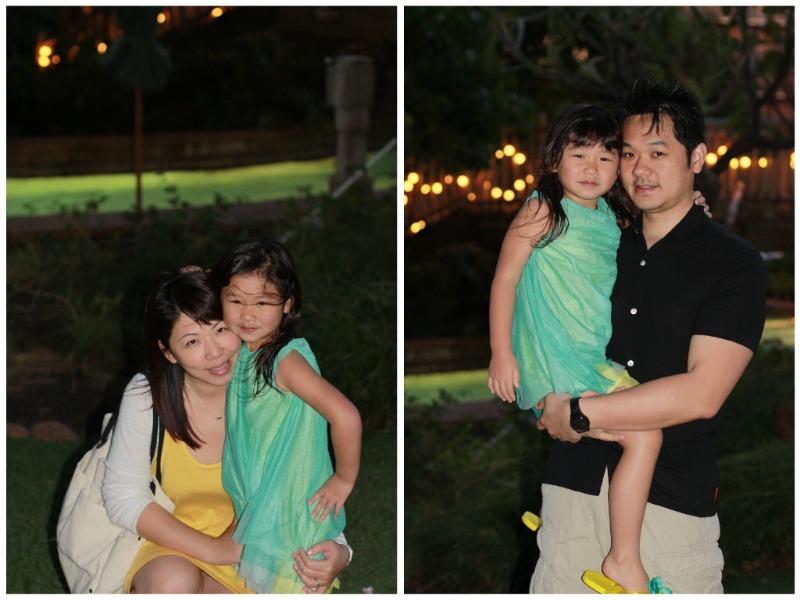 Though she wasn’t the Flower Girl for this wedding, she was still super excited about attending as a guest. 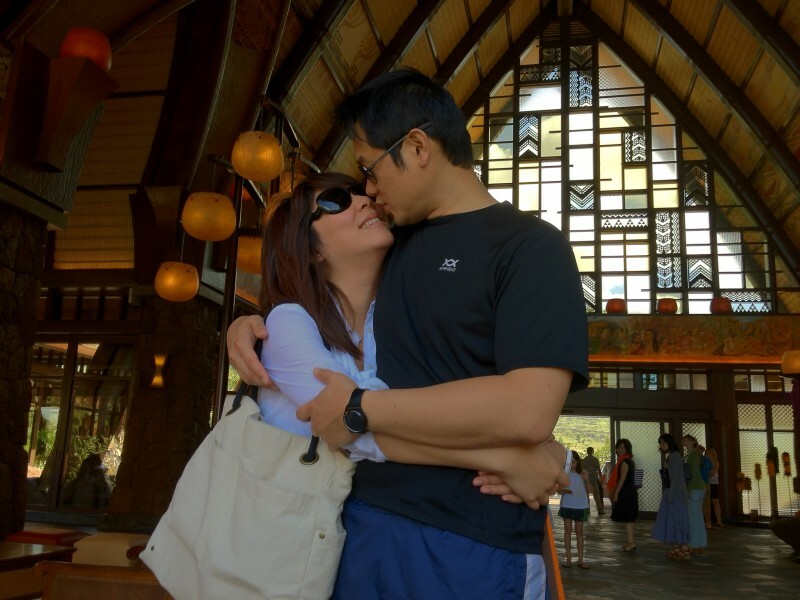 Admittedly, I was just a bit disappointed that I wasn’t able to go through this “girly girl” experience with her, for I was busy running around for the wedding all day. I did manage to sneak in for a quick visit mid-way, and she seemed to have thoroughly enjoyed the head to toe pampering. Kudos to Alan for staying in that salon with her for 2.5 hours! And pampering it was! 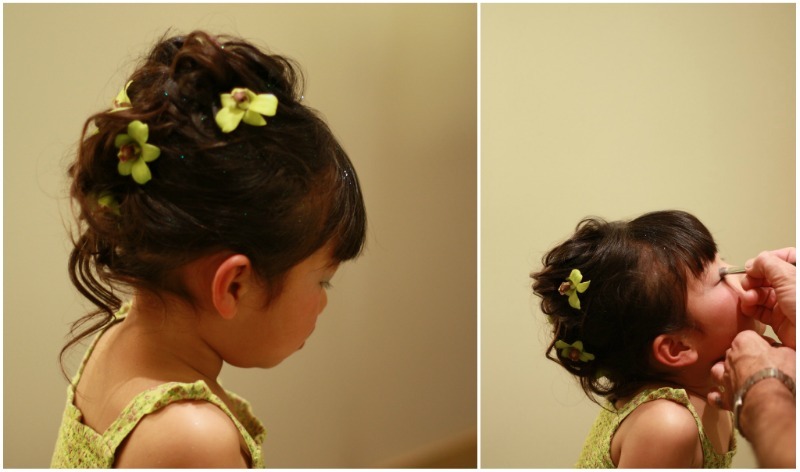 She started with a mani/pedi, with fruity snacks to keep her smiling, followed by an updo, and finished off with light makeup and sparkles on her face. 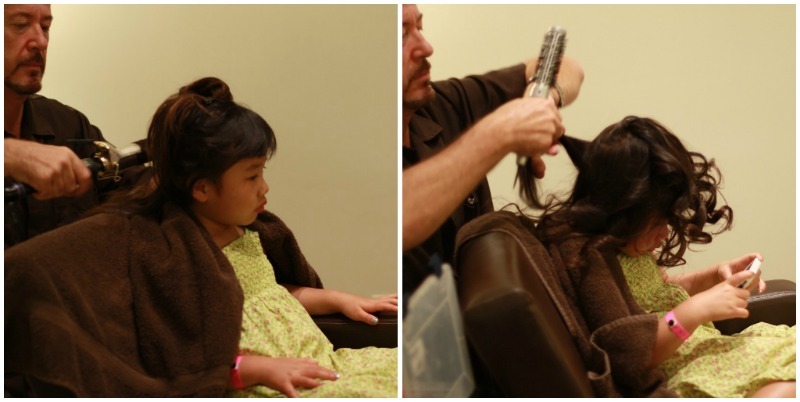 Though I love her natural look a lot more, Bridgette had the time of her life in that child-friendly salon! Browsing for the perfect "do"
She looked and felt like a princess at the wedding, prancing and twirling nonstop in the floral spring dress that I bought her from Gap Kids. She kept staring at Kit, the bride, in adoration during the ceremony, and Alan had to hold her back a few times when she wanted to be a part of the bridal procession! More on the wedding in another post. 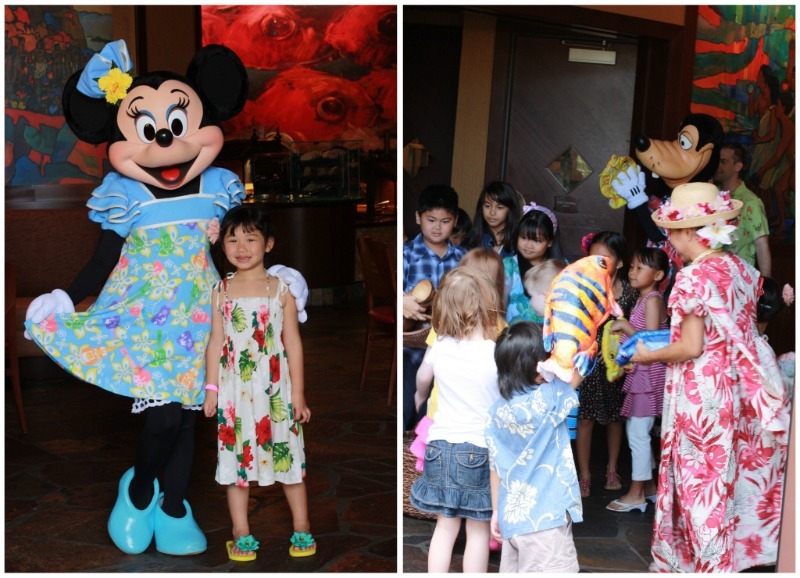 We checked out of the Aulani the next day, but not before we got to meet Mickey, Minnie, and Goofy at the Character Breakfast! The breakfast buffet was surprisingly good, but it didn’t matter to Bridgette, because she was too busy participating in all the songs and games to eat. 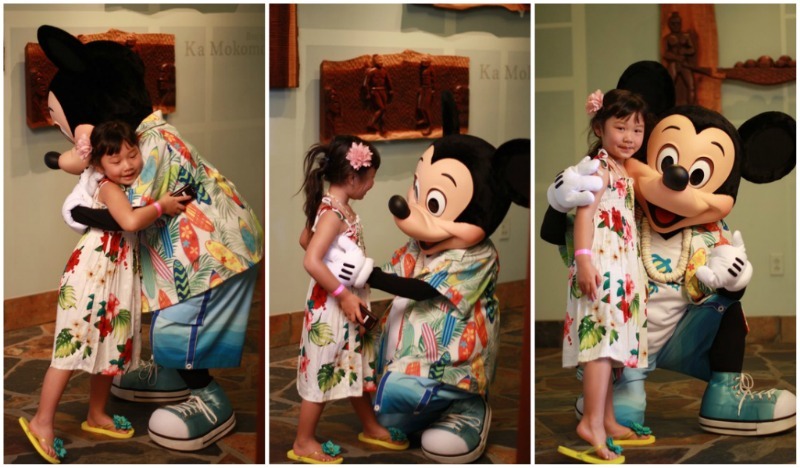 Her favorite moment was getting to parade around the restaurant behind Mickey and Minnie! 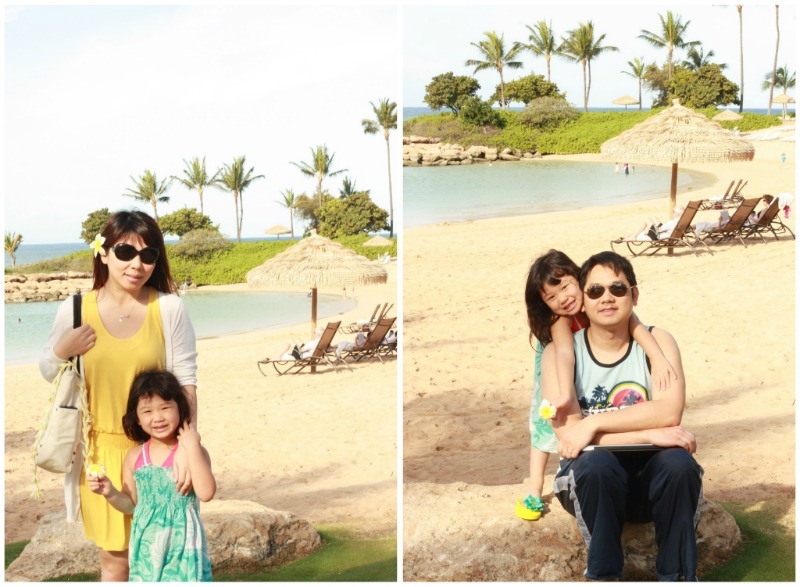 All in all, we had a great experience at the Aulani, and would definitely consider going back again. 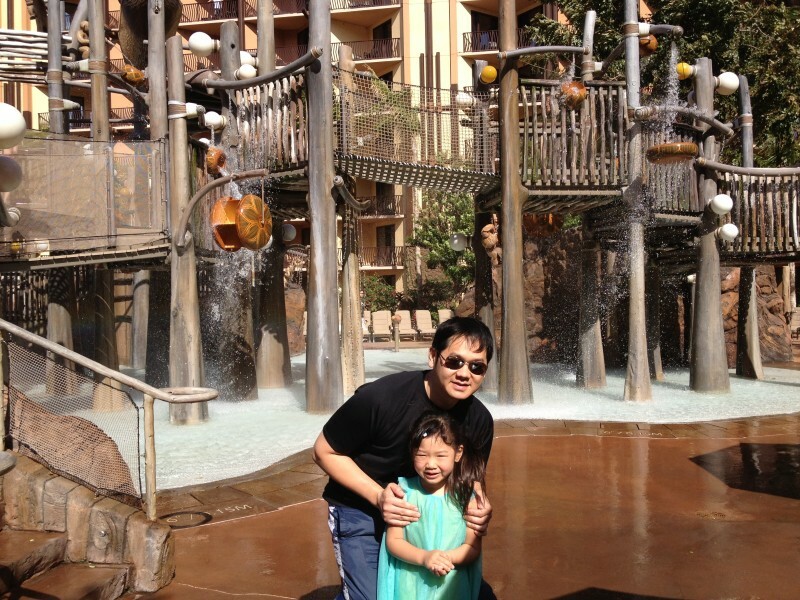 It’s a fantastic resort for families with young children. If you don’t have children though, you may get annoyed and overwhelmed with all the noise and little feet running around you. Laying by the poolside with constant yelling and splashing may not be the most romantic scene either. 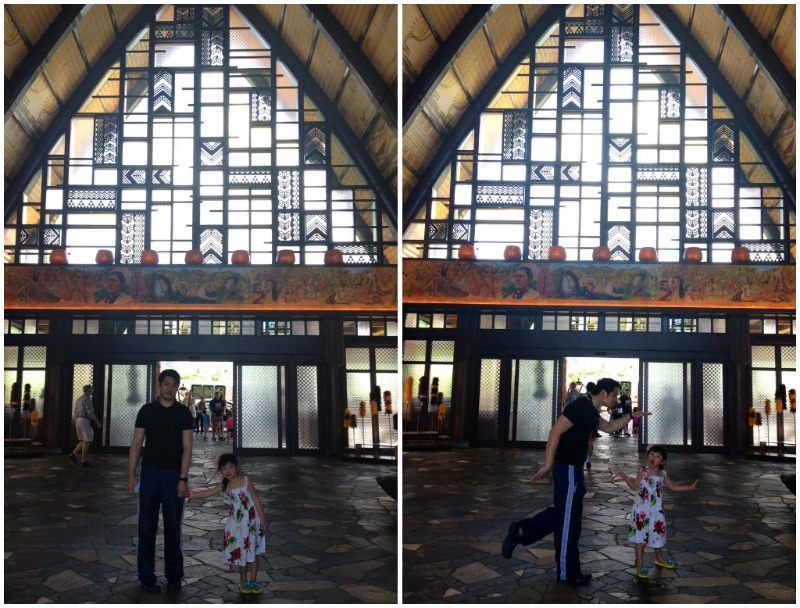 🙂 Here are more photos of our Aulani experience…. We love this photo that Bridgette snapped of us, from my iPhone! 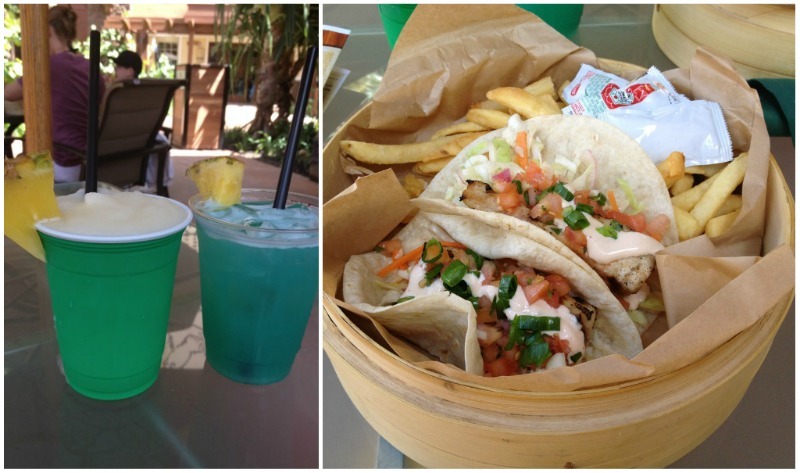 Two things that we didn’t get to try at Aulani were the Rainbow Reef and the feeding of the stingrays. For some reason, Bridgette didn’t want to try either, and we decided not to push her if she wasn’t ready. The Rainbow Reef looked pretty awesome though. 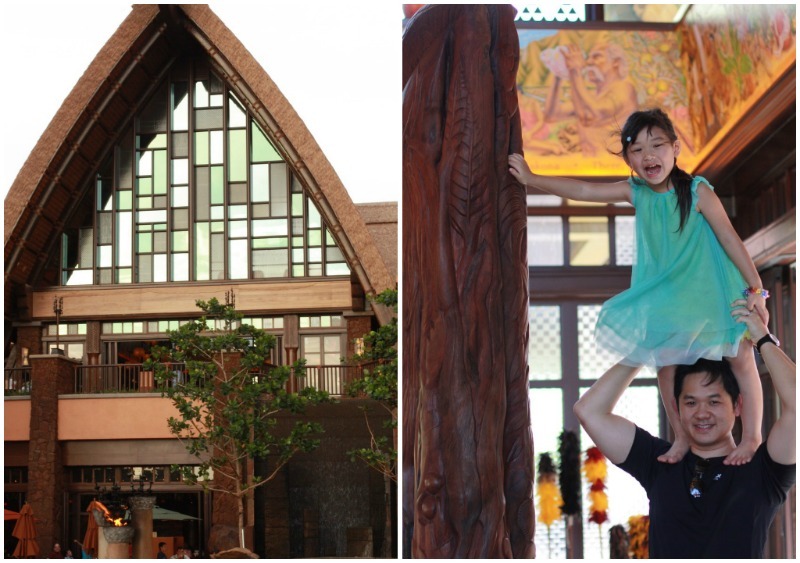 It is Aulani’s own 3,000 sq. ft artificial lagoon which houses over a thousand fishes, including the Butterfly fish and the Yellow Tangs. 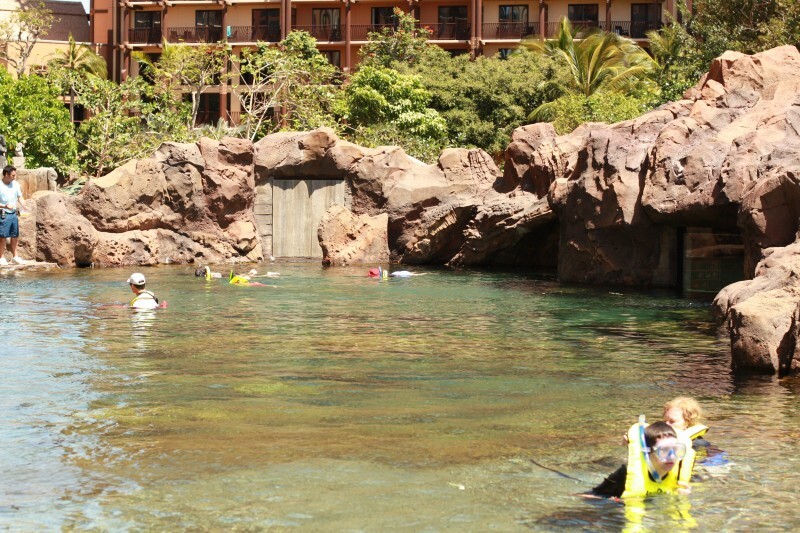 It’s the perfect place to introduce young children to snorkeling, as there are lifeguards around at all times, and the deepest end is only 8′. Hopefully when we go back next time, Bridgette will be ready to try it out! 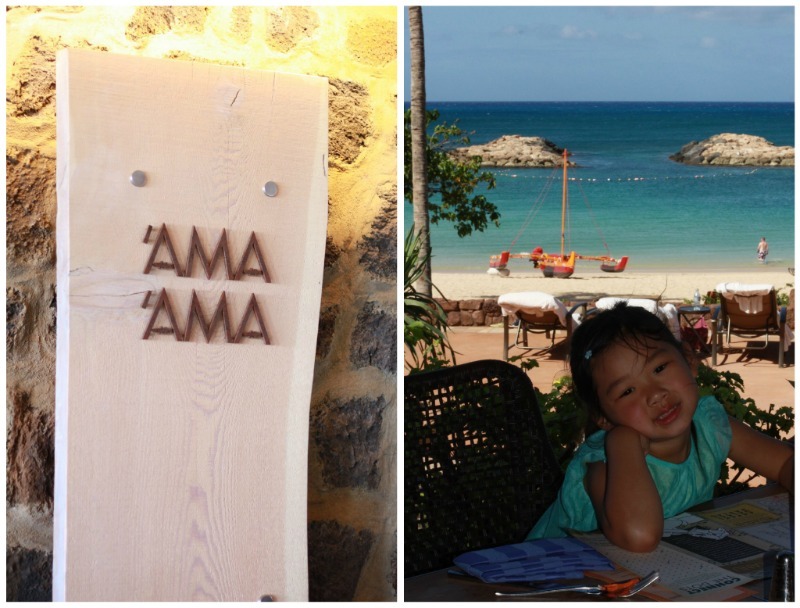 Maholo Aulani, for all the fun in the sun! 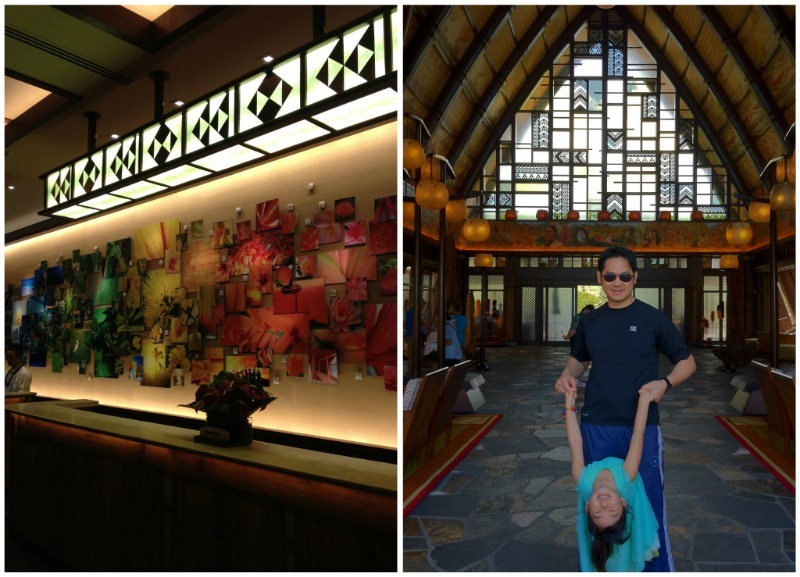 Previous PostHawaii Trip | The Aulani Experience Part I.